Newcomer Family Obituaries - Marlene Marie Cook 1937 - 2019 - Newcomer Cremations, Funerals & Receptions. 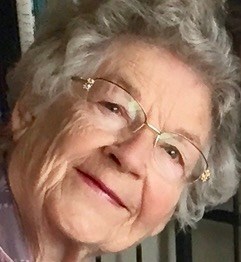 Marlene Marie Cook , 81, of Littleton, passed away April 7, 2019. She was born November 29, 1937 in Oberlin, Kansas, the daughter of Clem and Alice (Kompus) Hutfles. Marlene is survived by Three Daughters, Deanna K. Cook, Jeanette M. Barrett, Marie E. Allen; Two Sons, Thomas L. Cook, Robert J. Cook. Also survived by Grandchildren; Hannah Confer, Chandler Cook, Cassidy Cook, Lawson Cook, Matthew Cook, Sarah Allen, Savannah Allen, Joshua Adams, Angela Miller, Nick DeBernardi, Chris DeBernardi; and Great Grandchildren; McKenzie Confer, Tehya Miller, Arianny Miller, Isla Miller, Noa Miller. She is preceded in death by Husband, Thomas Gordon Cook, Father, Clem Hutfles, Mother, Alice Hutfles. To share a memory of Marlene or leave a special condolence message for her family, please click the Share Memories button above. Add your memories to the guest book of Marlene Cook. I first met Mars and Tom soon after we bought our first house on West Layton Street. What a busy house they had with five kids! Yet, the Cook’s house was always a welcoming place and my little girl, Jessica, just loved going there to see the girls. Not long after that, Mars and I started taking classes at Arapaho’s Community College and we both finished and became part of the healthcare profession. Our friendship endured over the past 45 years in spite of both of our families’ move from Layton street. I’ll miss my friend, but I know she is now in the hands of her loving God.